Votre panier totalisera 477 Punkte qui pourront être convertis en bon de réduction pour un prochain achat. 2018 was a special year for Porsche: ‚70 Years Porsche Sportscars‘. To mark the anniversary Porsche sent two 911 RSRs out onto the racetrack in classic liveries from the 70s and 80s. 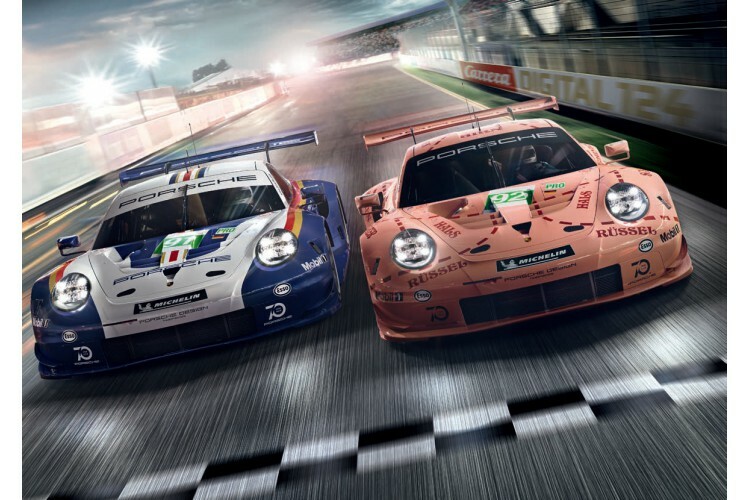 Porsche recorded two class wins at the world’s best-known 24-hour race. 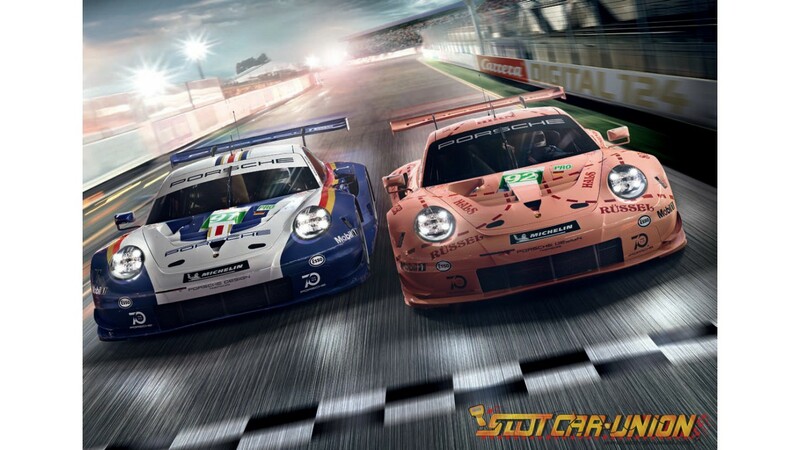 The new Carrera DIGITAL 124 ‚Double Victory‘ set lets these GT powerhouses loose around a 9.3-metre / 30.51 ft. racing circuit. 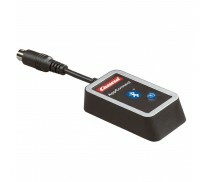 WIRELESS+ controllers guarantee maximum freedom of movement around the track. 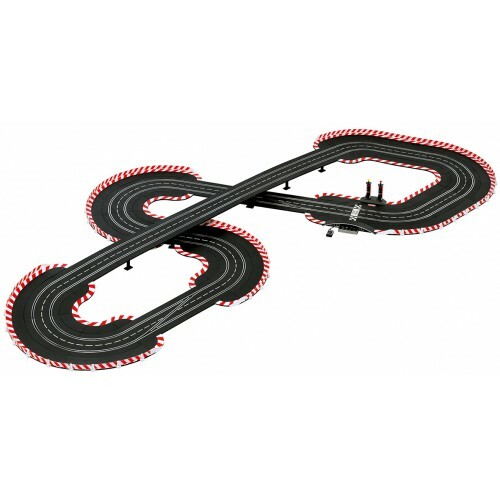 Experience true-to-scale driving fun in 1:24 for racing drivers from 10 years old: Up to four vehicles can line up for the race at the same time and fight for first place on this racing track system. Unique 1:24 scale, tracks and vehicles in digital technology. 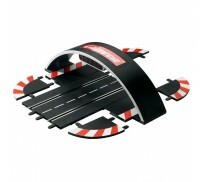 Wide track material with connectable power slide edge strips for sensational drifts and power slide action. Corrosion-free conductors through Nirosta stainless steel. 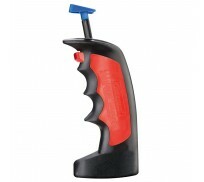 Rigid plastic for vibration-free driving. Stable track system, perfect track contact. 4-lane, 6-lane and 8-lane extension option. Big size: True-to-detail vehicles on a scale of 1:24. Vehicles can be used on Exclusive (analogue). Vehicles with front and rear lighting. Detailed vehicles that are faithful to the originals, stamp printed. Coveted collectors’ vehicles: LIMITED EDITIONS in an edition of 999 pieces worldwide. Lane changes and overtaking at the touch of a button with FULL SPEED. Up to 4 vehicles on a track at the same time. 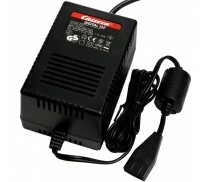 Depending on the driver’s ability and skill, the speed can individually adjusted with up to 10 levels. Simple vehicle coding using the manual control unit. Predominantly with front and rear lighting. Are you ready more even more action on the racing track? There are no limits to racing with the Digital 124 accessories because the digital extras provide a realistic racing feeling. When purchasing a racing track set, tracks or vehicle it doesn’t usually end there – and with good reason: The sensational possibilities of the range for DIGITAL 124 are overwhelming: From the driver display which displays the fuel tank contents, the number of pit stops and the current position, to the black box or control unit – the junctions of the racetrack: The selection of Digital 124 accessories leaves no wishes desired for racing drivers. The existing track can also be equipped with wider curves to provide spectacular drifts. 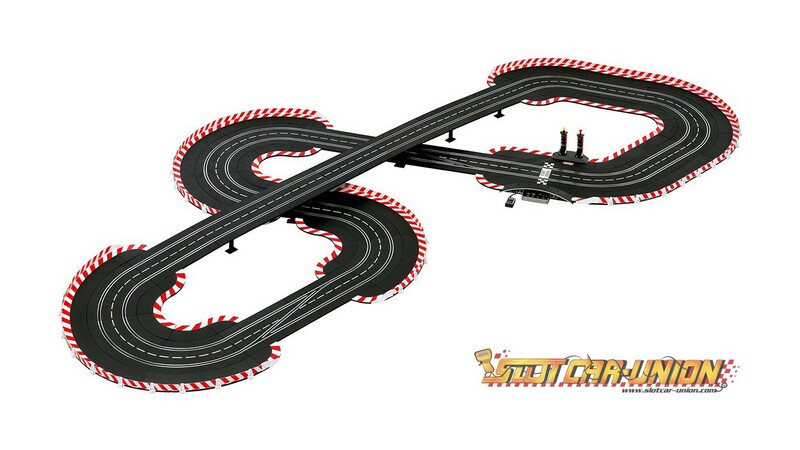 Double switches, hairpin turns and the pit stop lane make driving just as much fun as decorating with edge strips or flagpoles. The 2.4 GHz WIRELESS controllers should not be forgotten either for wireless control of the vehicles. 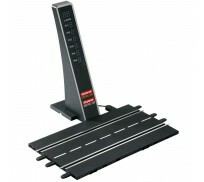 As well as the speedy accessories for the DIGITAL 124 racing track system, there are also suitable spare parts for the vehicles on the scale of 1:24 in the online store.